Powered by Nvidia's GeForce GTX 1080 GPU, Razer’s new Laptop has three insane 17.3 inch 4K screens with Nvidia Surround View native support. It's CES 2017, and some truly crazy technologies like smart underpants, Wi-Fi-connected combs, toothbrushes with inbuilt AI, or even an emotion sensing dog collar are on display which is very common at the biggest global electronic show of the year. 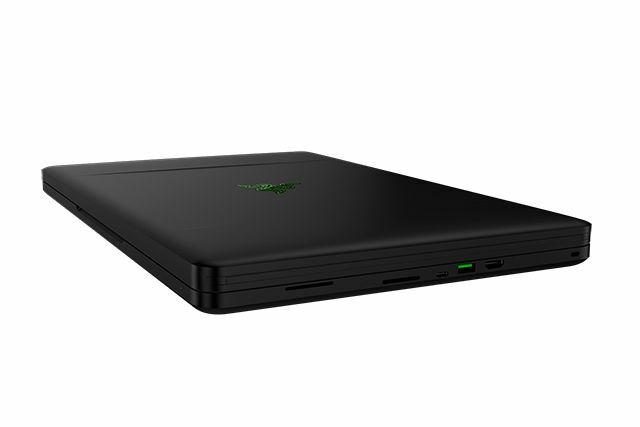 Razer has brought in some very interesting stuff over the last few years, and this year as well they did not disappoint the fans by announcing a new laptop prototype, codenamed “Project Valerie” at CES 2017 with three 17.3 inch 4K screens. Powered by an Nvidia GeForce GTX 1080 GPU, this crazy laptop has a whopping 11520x2160 resolution with native support for Nvidia’s Surround View. Unlike Razer’s usual “thin and light” theme, the 12lbs Project Valerie is about twice the thickness(1.5 inches) of their current biggest Razer Blade Pro laptop and it also houses many of the same internals of the said laptop. 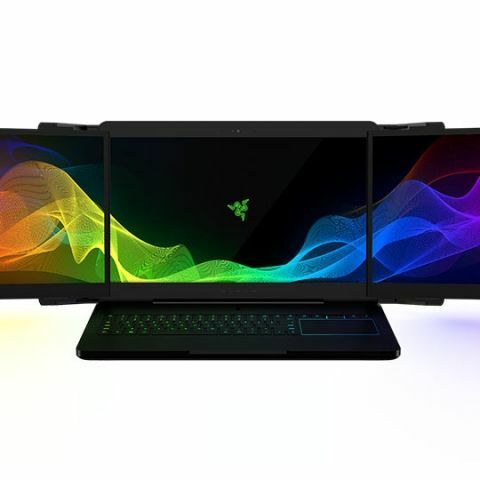 According to Razer, the three displays are engineered with an automated deployment system utilizing highly durable aluminum hinges, which can deploy and lock into place in a matter of seconds. The Laptop is powered with a desktop-class Nvidia GeForce GTX 1080 graphics card with 8GB of VRAM, and the three displays are connected together using Nvidia’s Surround View technology for an 180-degree field of view. The multi-display also has Nvidia G-sync technology to match the screen’s refresh rate with the laptop’s hardware. Valerie also has 32GB of system RAM. However, Razer does not specify anything about the battery life. But considering the fact that it shares similar internals with the Razer Blade Pro, which can last only about 3 hours, although it has a large 99 Wh battery, running two additional 4K displays on the Valerie would use much more energy. You might as well keep the beast plugged-in all the time. “Project Valerie” is a prototype laptop and currently Razer hasn't specified any release information or pricing for it. Although interested customers can sign up on their website to learn more about it. I want to buy a Laptop under 4K pls suggest me..